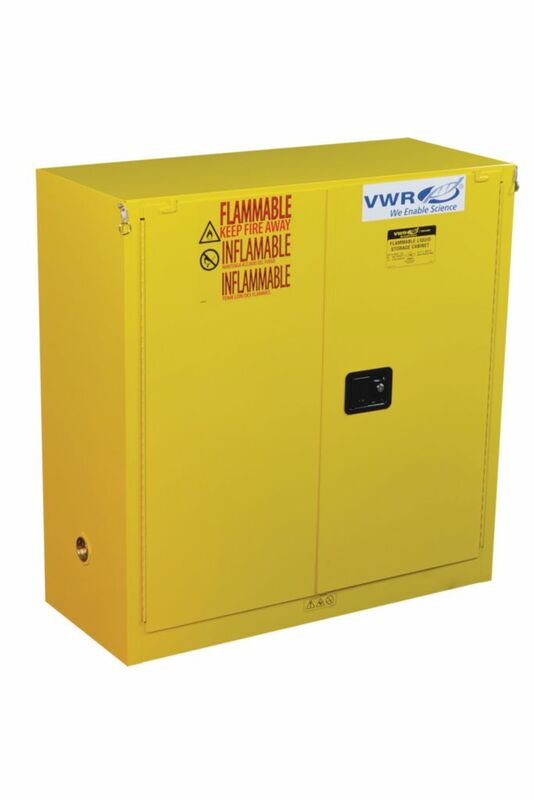 Fully welded, 18-gauge galvanized steel ensures fire protection and strength with reduced gaps. 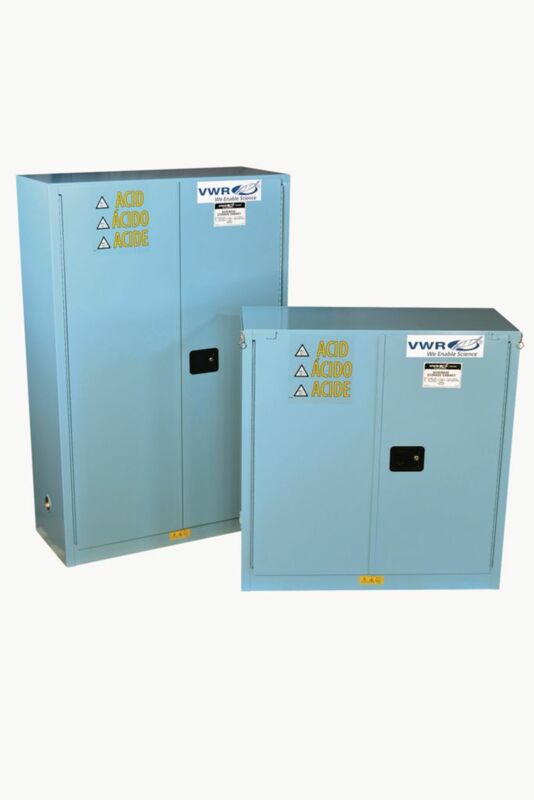 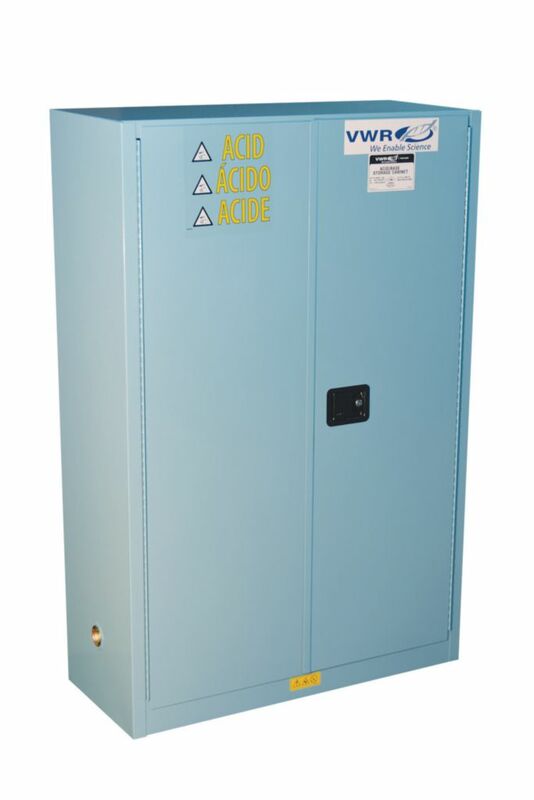 Equipped with upper and lower diametrically opposed side vents, a ground connector on lower right side of the cabinet, double-wall construction with 3.8 cm (11/2”) insulating air space, and an environmentally friendly, electrostatically applied powder coat finish. 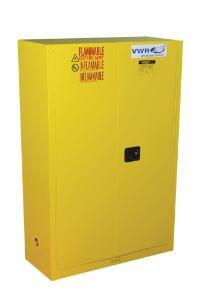 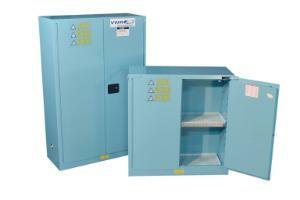 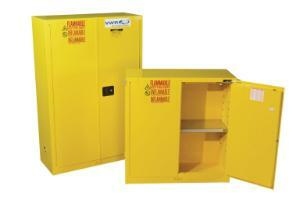 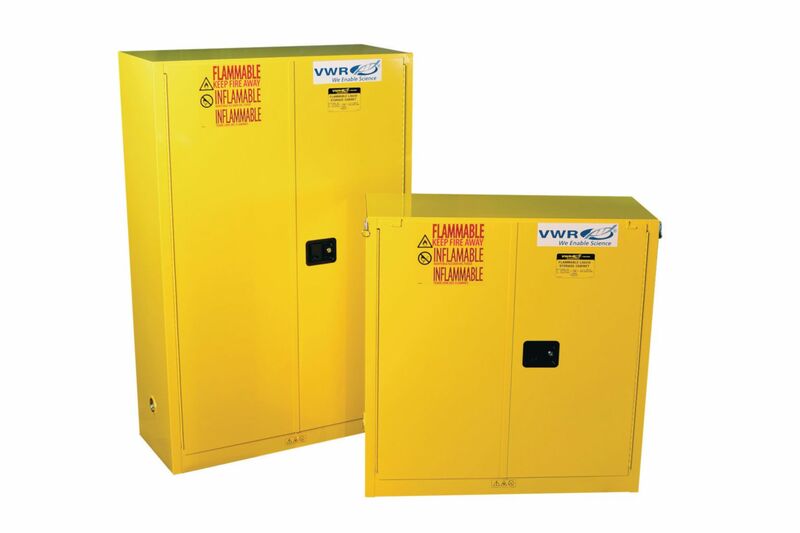 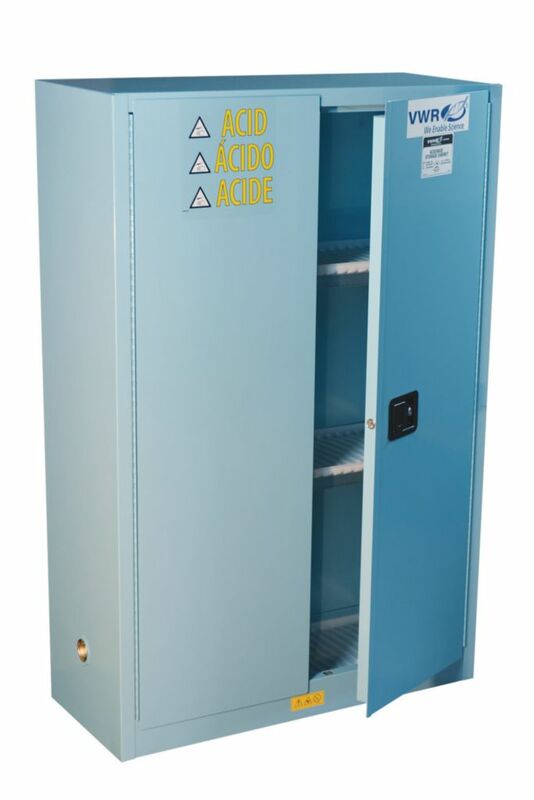 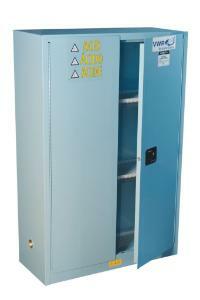 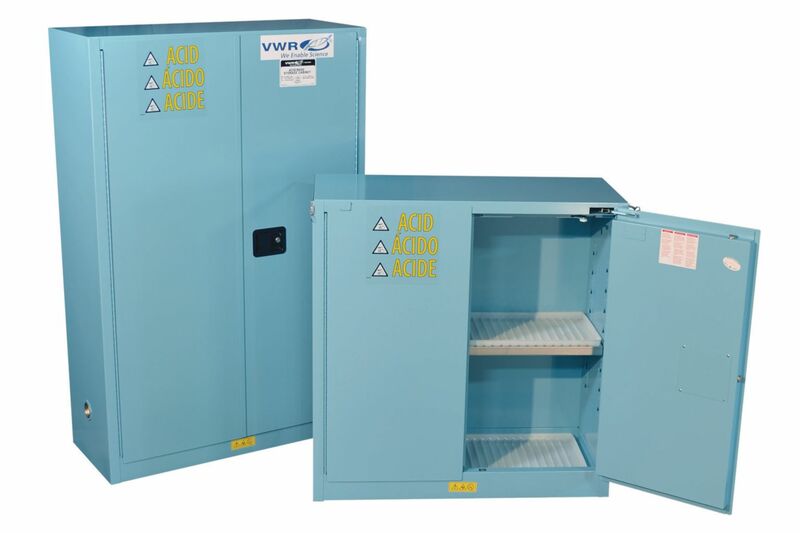 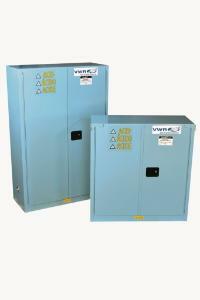 Cabinets are available for either flammables (yellow) or corrosives (blue). Certifications: All door styles meet OSHA 1910.106, NFPA 30 and NFPA 1. 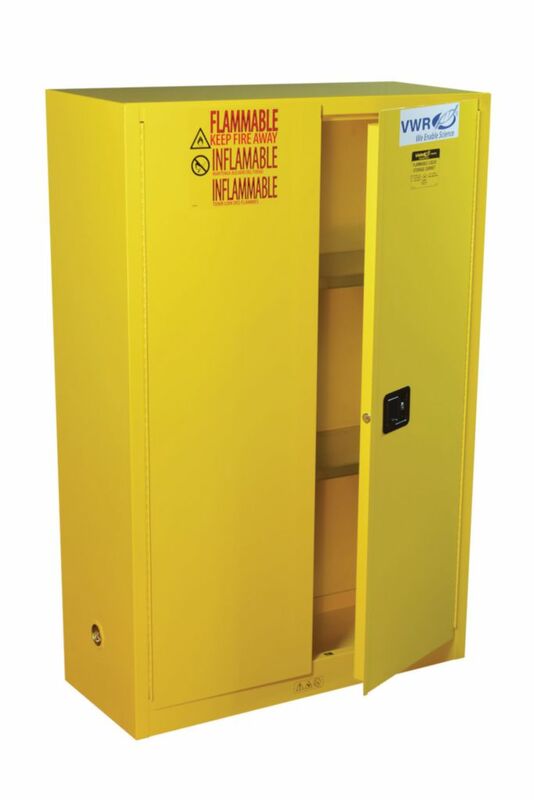 Self-close door styles also meet IFC requirements and feature a fusible link that melts at 74°C (165°F) for automatic closure in the event of a fire.